Every time Google rolls out a new algorithm update, article after article is posted online about how the latest changes represent "the end of SEO as we know it." Here's a better newsflash: No matter how many of these articles are written or how many adjustments Google makes, search engine optimization is still alive and well -- and will continue to be. 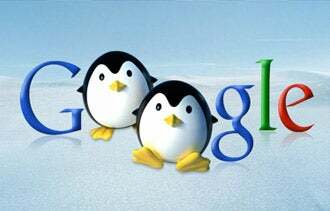 But just because SEO hasn't been made irrelevant doesn't mean Google's Panda and Penguin updates haven't altered established SEO best practices. Although it's difficult to say what Google's next move will be, there are a few lessons we can draw from Google's latest changes. 1. Overly-optimized sites will continue to be targets. Based on Google's stated interest in stopping sites that intentionally manipulate the natural search engine results pages (SERPs) from ranking well, it's my expectation that we'll continue to see future algorithm changes designed to punish indicators of over-optimization. But simply saying "Don't over-optimize your site," isn't realistic, as there's no way to know which specific optimization metrics Google is able to measure and track. It's also not possible to determine where the line between effective on-page SEO and over-optimization will be drawn. Related: Can Too Much SEO Be a Bad Thing? For now, the best approach appears to be focusing on the quality of your site in terms of visitor interactions, content value and other on-site elements -- not over employing complex SEO techniques designed to boost rankings. 2. Visitor engagement matters more than ever. Another factor that I expect to be important in future ranking algorithm updates is the level of visitor engagement occurring on a site. Since Google promotes the sites that its users will find valuable, one might assume that sites that demonstrate high engagement will be rewarded in future updates. Again, the specific metrics that the Google can detect and track in order to measure visitor engagement aren't immediately apparent. As a general rule, a few of the specific items webmasters should focus on are the presence of customer reviews, article comments and social networking follow-through. 3. Content quality will grow in importance. Although Google has made no secret of its desire to reward high-value content with top SERPs rankings, too many webmasters still rely on keyword-optimized or copied-and-pasted content to fill their pages. Even if your site wasn't affected by the Panda or Penguin updates, you shouldn't assume that you're safe. Google has made every indication that it intends to weed out low value results from the search results. Getting your content quality up now offers one of the best opportunities to protect your site from future changes. What steps have you taken to make sure your site doesn't suffer from search algorithm updates? Share your thoughts in the comments section below.